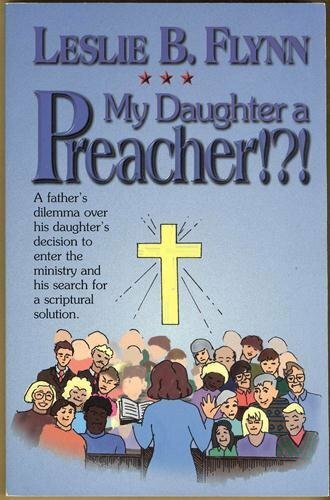 Home > Book Review > Book Review: My Daughter a Preacher!?! In looking back, I realize that previous to my investigation into the matter I really had no opinion to change. Though raised in an environment of disapproval of women preachers, I had gone along with this view uncritically. So I did not hold any conviction on the issue or I had never given the matter much study (p. 157). The book explores Jesus and women, women in the early church, and women in American evangelicalism at the beginning of this century, among other topics. Happily, Flynn concludes that God has called his daughter,that she is following God's leading, and that God will bless her work. While this book does not explore new territory regarding the issue of women in ministry, it does serve a useful purpose: This is an ideal book to give your pastor, especially if he is straddling the fence on this issue. One pastor speaking to other pastors can have a powerful impact. James R. Beck is a CBE supporter who has contributed articles for Priscilla Papers, including a book review on James Davison Hunter's Evangelicalism: The Coming Generation. Title: My Daughter a Preacher!? !